Red Hen Press, 9781597096874, 136pp. 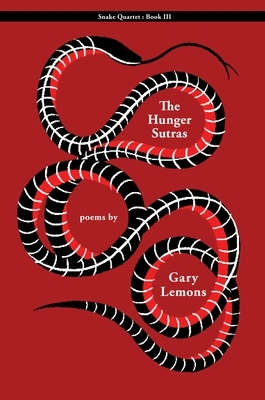 Snake--the Hunger Sutras is the third book in the Snake Quartet. By now snake has carried the lost voices--from the smallest single celled whisper to the bellow of more complex creatures as she wandersthe empty Earth. Thousands--maybe millions of years--listening--while also searching for the clues in the ruins that when puzzled into insight become the beginning movement in the opera of life returning. The clues are fossils embedded in the archeological remains of stone and air--fire and rain. All that is left. Except for snake.